Bread has been a staple of the western diet for so long that it would be strange to go without it. Suitable to be served with breakfast, lunch and dinner, there are few meals a slice of bread doesn’t go with. That’s not to mention sandwiches and the like, where it becomes the quintessential component. Which is why it can be incredibly frustrating when you think you’ve got bread in the house, only to find that it’s started to develop spots of mold. We’ve all been there; you pick up a slice and notice that it’s peppered with little blue-green blotches. In some cases, you can cut off the afflicted part and eat what remains … right? More often than not, my desire to save money and resources outweighs the idea that throwing a whole slice of bread in the bin is a good idea, just because of one corner of mold. However, as per Tech Insider, mold on your bread can be more dangerous than you might realize. Not only does it make your sandwich actually taste differently, but consuming bread – yes, even the clear part – affected by mold can make you ill in an instant. While it might seem as though the mold is contained to one area of your bread, the reality is that the deep-reaching roots of hyphae (the branching filaments that make up the network of fungus) can infect the entire piece. Just as trees do, mold can spread its roots below the surface, unseen, covering a whole slice of bread and rendering it inedible. 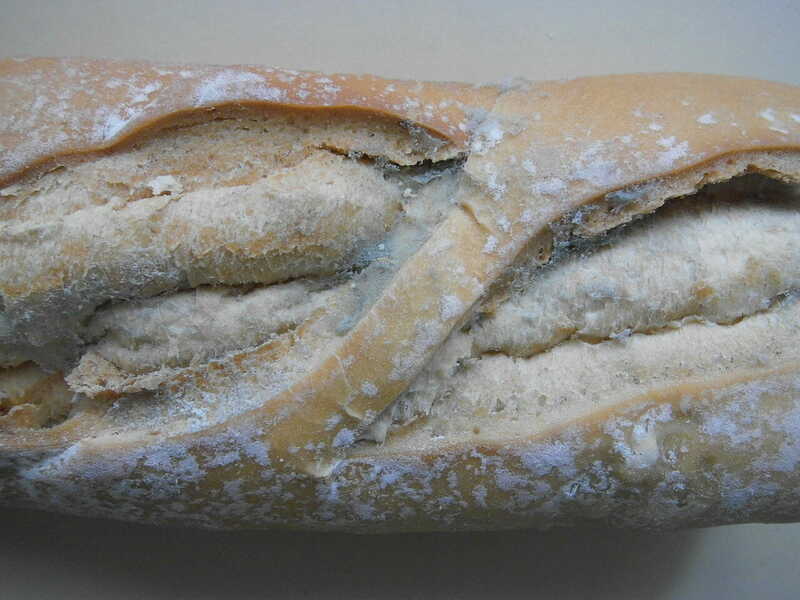 To make matters worse, mold spores can easily spread to the other pieces of bread you’ve left in the bag. Before you know it, you’re left with no choice but to throw the whole lot. Now, whilst it’s true that some molds are good, like Penicillium for example, others can cause infections in the body that can prove to be extremely dangerous. Basically, there's no such thing as the "clean" part. There isn’t a way to tell exactly what type of mold has claimed your bread, but just know that in this instance you’re usually better off safe than sorry. Take the Rhizpus stolonifer strain of mold, for example, which can cause no end of problems with your body. To err on the side of caution, if you see mold on your bread you’re probably best getting rid. Why take the risk? Well, I for one didn’t know how serious a warning a small dot of mold could be on bread. I’ll certainly be throwing out any and all slices that show signs! Help us spread this advice by sharing this article on Facebook!